Katie Walsh takes a look at Dublin’s Christmas Markets. It’s that time of year again when shopping, food and festive fun are top priority for the whole family. Heading into the holiday season, we all need to know where to buy the best gifts, and it’s often you don’t have to travel far from home. The Newmarket Christmas Market will take place on the 3rd of December on Newmarket Square, Dublin 8. With over 100 stalls to see, the amazing day will kick-off at 11am and finish up at 7pm. This market will only take place for one short day, so get down early and make sure you don’t miss out on the gifts. “At the Newmarket collective we have a great selection of Irish design, handmade crafts, vintage men and women’s fashion, collectors’ items, stocking fillers, Christmas gifts and lots more,” Emma Brereton of the Newmarket Christmas Markets told the Liberty. “This is the first year we have a collaborative with Newmarket collective and Pure Vintage market that takes place in the Coop. The two markets are joining up to make a one off great Christmas experience,” she added. Dublin Flea Christmas Market will take place from the 7th to the 10th of December at the Point Square, Dublin 1. 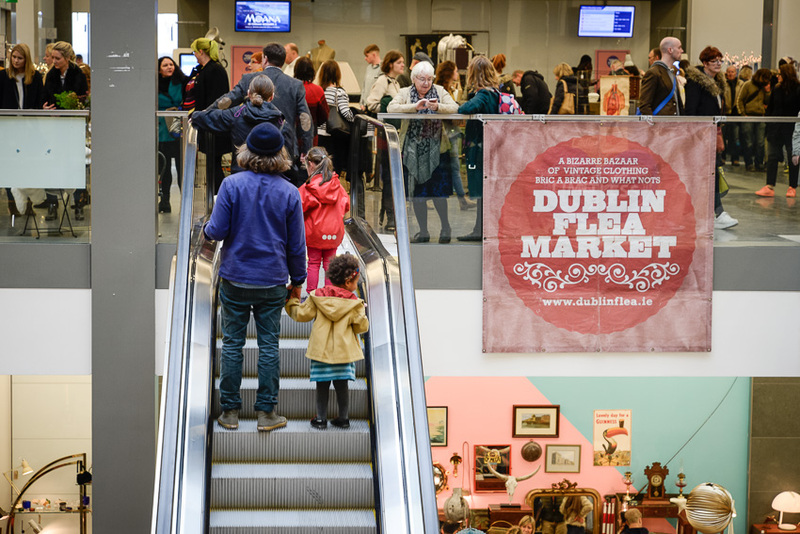 There will be over 140 stalls of Irish contemporary design, hand-made craft, art, books, antiques, collectibles, retro, vintage, furniture, clothes, jewellery, cosmetics, music and food. Sharon Greene of Dublin Flea Christmas Market said: “We are open for four days, Thursday to Sunday, 7th-10th Dec. On Thursday and Friday the 7th and 8th December we are open from 1pm-8pm and Saturday and Sunday we are open from 11-6pm. 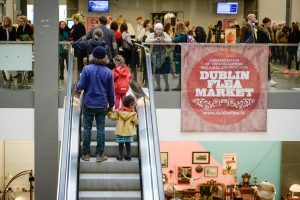 The Dublin Flea Christmas Market was open to applications back in October. Everyone had to be booked in early as there was a lot of demand for the event. A whopping 260 stall applications were reduced to 140 places. Sharon added: “We have been operating out of the Liberties for nine years now but every Christmas we move location due to our slot in Newmarket being the last Sunday of the month, which wouldn’t work for Christmas. We really grow with the addition of craft and design stalls onto our regular monthly flea collectibles so we need a much bigger space. Après Village will be open from the 30th of November until the 23rd of December. Custom House Quay will be turned into a winter wonderland with festive family fun every day from 12pm until 7pm. Admission is free for all the family. There will be Christmas food markets selling hot drinks, churros, gourmet beef burgers, authentic German sausages. There will also be lots of other Christmas market stalls where you can pick up beautiful handmade Christmas gifts for family and friends.